Dr. Arne Vainio, M.D. 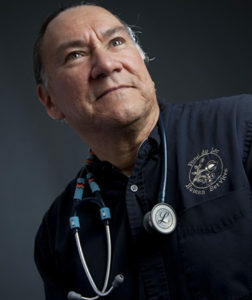 (Mille Lacs Ojibwe) was named Physician of the Year by the Association of American Indian Physicians at its 46th annual conference on July 28 in Shawnee, Okla.
Vainio completed his undergraduate studies in 1990 at the University of Minnesota-Duluth, and graduated in 1994 from University of Minnesota Medical School – Duluth. He completed his Family Practice Residency Program at the Seattle Indian Health Board and Providence Hospital in Seattle, Wash. in 1997. He has been a family-practice physician at the Min-No-Aya-Win Human Services Clinic on the Fond du Lac Ojibwe Reservation in Cloquet, Minn., since September 1997. He also is employed as a preceptor at the Duluth Family Practice Center and volunteers as a preceptor for the University of Minnesota Medical School-Duluth Campus. He is a member of the Association of American Family Physicians and the Association of American Indian Physicians. He is also a columnist for News From Indian Country and Indianz.com. 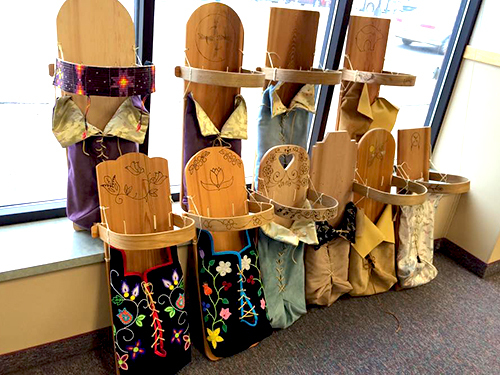 Vainio is also dedicated to working with the youth, creating the “Mad Doctor Science Project” to inspire young Native Americans to take up careers in health and science. Twin Cities playwright, director and theater founder Rhiana Yazzie (Navajo) has won the Sally Ordway Irvine Award, which honors “individuals and insti-tutions that… enrich the state through their commit-ment to the arts.” Yazzie was awarded the Vision Award, one of five awards given by the Sally Award. 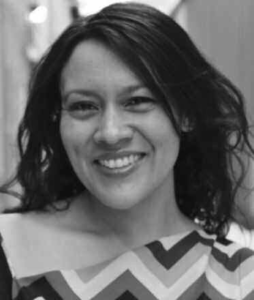 Yazzie is a Playwrights’ Center McKnight Fellow, a two-time Playwrights’ Center Jerome Fellow and was a Playwrights’ Center Core Member for three years. Yazzie created New Native Theatre in 2009, a company based in the Twin Cities, as a place to showcase Native acting and stories. Yazzie is also shooting her first feature film, called A Winter Love. The awards are presented annually to honor individuals and organizations that strengthen and enrich Minnesota with their commitment to the arts, arts education and arts access. The Sallys will be presented Oct. 16 at the Ordway Center. Sarah Eagle Heart (Oglala Lakota), CEO of Native Americans in Philanthropy, is the recipient of the 2017 American Express NGen Leadership Award in recognition of her advocacy for tribal communities and the role philanthropy plays in narrative change, advocacy, education, healing, and representation for Indigenous communities. The Award honors accomplished charitable community leaders under the age of 40, demonstrating significant impact in addressing society’s critical needs in their fields. She joined Native Americans in Philanthropy as CEO in 2015 and has strengthened the organization’s mission and helped elevate its position in the sector. Eagle Heart will receive the award on October 25-27 in Detroit, Mich. The UC Merced committee has selected Winona LaDuke (White Earth Oijbwe) as the 11th recipient of the Alice and Clifford Spendlove Prize in Social Justice, Diplomacy and Tolerance. “UC Merced is pleased to recognize Ms. LaDuke, especially for her outstanding activism toward social justice for Native Americans and their sacred lands, cultures and heritage,” Chancellor Dorothy Leland said. A Harvard University graduate, LaDuke is an educator, economist, environmentalist and writer. LaDuke is also known as a leader on the issues of cultural-based sustainable development strategies, renewable energy, and sustainable food systems. She is the author of numerous books. Ceremonies will be held Nov. 13 on the UC Merced campus. Jill Kehaulani Esch was named the 2017 NICWA Member of The Year, which honors and recognizes an individual or organizational member of NICWA who has demonstrated outstanding service, contributions, and leadership in their profession, as well as involvement as a member of NICWA. Esch has been involved with promoting her Native Hawaiian culture. After moving to Minnesota nearly two decades ago, she became part of the Minnesota American Indian Bar Association as a member, board member, and secretary, as well as fundraising for their Native law scholarships. The National Center for American Indian Enterprise Development (NCAIED) has announced its 2017 class of “Native American 40 Under 40” award recipients. The award is given to individuals under the age of 40, nominated by members of their communities, who have demonstrated leadership, initiative, and dedication and made significant contributions in business and their community. Two of the award winners are from the Twin Cities area. 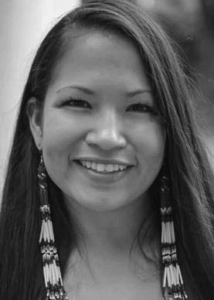 Rebecca Crooks-Stratton (Shakopee Mdewakanton Sioux) is Program Director at the Native Governance Center in Prior Lake, MN. 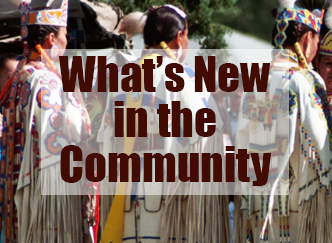 Matthew Roberson (Wichita and Affiliated Tribes) is Executive Director at the Department of Athletic Regulation for the Mille Lacs Band of Ojibwe in Pine City, MN. Award winners will be honored during the Northwest Enterprise Development Conference at the Tulalip Resort Casino in Tulalip, WA on September 6th. The Indian Health Board Counseling and Support will be hosting a LGBT (QIAP) group for Natives called “2 Spirit Group.” It is a place where people who identify across the spectrum of gender or sexual orientation can come for support and discussion in a talking circle format. 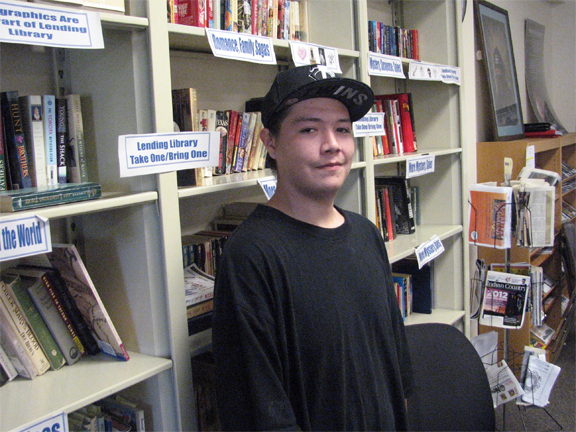 The group will meet once a week, beginning in mid-September on the 3rd floor of the Indian Health Board. People who have never been seen at the Indian Health Board for medical or mental health services will need to schedule an intake appointment with a counselor at the Indian Health Board Counseling and Support so they can open a chart for their paper-work. If people are interested, they can call Luz Angelica Salinas at 612-721-9877. The Indian Health Board is located at 1315 East 24th Street in Minneapolis.